The legal principle of double jeopardy prevents an individual for being tried for the same crime twice. Therefore, as a result of a fair trial, an individual is acquitted of the charges against them, another case cannot be made with the use of those charges. Where is the protection against double jeopardy in American law? The protection against double jeopardy is found in the Fifth Amendment, which in addition to protecting individuals from self-incrimination, also prevents persons from being “twice put in jeopardy of life or limb.” This is to prevent an endless cycle of prosecution against defendants. 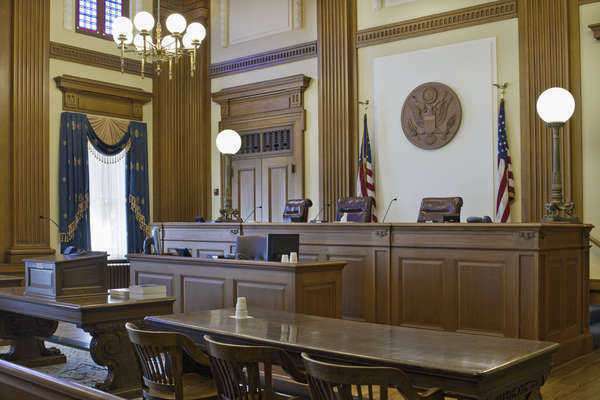 The Supreme Court case of Benton v. Maryland concerned an individual acquitted of larceny but guilty of burglary that was allowed a new trial due to improper jury selection. In the subsequent trial, the new jury found Benton guilty of both larceny and burglary. This was in violation of a federal prohibition against double jeopardy. The Supreme Court ruled against the state of Maryland and affirmed the protection against double jeopardy on a state level in addition to the federal level. What are exceptions to double jeopardy? In the event that the acquittal in the first trial was due to fraud that meant that the defendant was not actually in jeopardy, then a second trial on the same charges may occur. Double jeopardy only applies to trials brought in the original jurisdiction and as such, one can be acquitted of murder in a state and brought up on related charges, such as the violation of civil rights by the Federal government. Tribal jurisdiction is also in effect when determining double jeopardy and can try a defendant for violating tribal laws. Residents of Washington DC or members of the military cannot be subject to double jeopardy in that there is the sole jurisdiction of the federal government in these matters. In one case, an individual that rejoined the military was court martialed by the military for a crime committed by a civilian after a second trial acquitted him of the charges. The individual was acquitted in state court but found himself under federal jurisdiction due to rejoining the military. In the rare instance that a crime is committed simultaneously in two states, then both states may try the defendant for the crime. Additionally, the defendant may be tried in civil court if the case does not succeed in criminal court. How can a civil case be brought against a defendant acquitted in a criminal case? Double jeopardy prevents retrial on the same charges within the same jurisdiction. Therefore, one who is acquitted of murder can be charged with wrongful death, a civil matter. The facts from the criminal case can be reestablished in the civil case. Different jurisdictions can try an individual according to its legal code. Criminal and civil law are different enough to allow for different trials with substantially different charges against the defendant. Subsequent trials are all subject to relevant statues of limitations, according the jurisdiction where the crime or illegal action was committed.